First published in 1970, this work outlines the principles of English prosody in a way that will enable the reader to recognise and scan any piece of English verse. It illustrates the close relationship between English speech patterns and verse patterns, and the primary importance of the phenomenon of stress. It also discusses the suitability of various kinds of metrical pattern for various kinds of poetic effect. 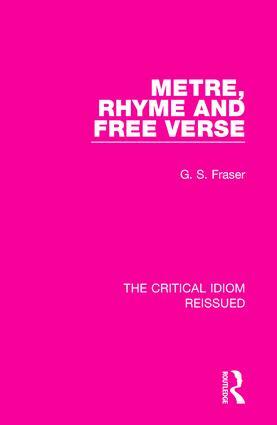 This book will be of interest to those studying poetry and English literature.